Jim Coleman has spent his entire educational and professional career at Louisiana State University (LSU) where he followed in the foot steps of such Gulf Coast greats as R.J. Russell, H.N. Fisk, and J.P. Morgan. He came on the geological scene when process sedimentology was in its infancy and made substantial contributions in the area of sedimentary geology early in his career. Jim was born in Louisiana in 1935, and grew up in the small town of Vinton in the rice country of southwestern Louisiana. In 1958 he moved to Baton Rouge and began his geological career at Louisiana State University. All three of his geology degrees were earned LSU, and by the time he had finished his PhD in 1966, Jim had become an expert on deltaic sedimentation and riverine processes. In 1964 he and fellow graduate student, Woody Gagliano, published a classic deltaic geology paper in the Transactions of the 14th Annual GCAGS meeting entitled “Cyclic Sedimentation in the Mississippi River Deltaic Plain.” Based on core data from the modern delta, this paper became an important guide to unraveling stratigraphy of deltaic deposits, using the organic deposits that develop at the end of each delta-building cycle as a stratigraphic marker bed. Also, while still a graduate student he became part of a program to study the variability of deltas started by Dr. R.J. Russell. During this period he and fellow graduate students visited Malaysia where they studied the Klang River delta. Later Coleman spent nearly a year in Pakistan working on the Ganges-Brahmaputra River system. Great advances were made during this period (1960 and early 1970s) in our understanding of deltas and rivers. The depositional architecture and sedimentary characteristics of deltaic deposits determined during these early years formed the benchmarks of our understanding of river-dominated deltas worldwide. Following the period of detailed sedimentological and stratigraphic studies Jim directed an investigation of worldwide delta variability funded by the Office of Naval Research. He and graduate student Don Wright collected common datasets on many of the world’s deltas and made comparisons that eventually led to delta models based on riverine input and physical processes of the receiving basin. Many important papers resulted from this period. Coincident with the delta variability research was the loss of Shell’s production platform in South Pass Block 70 due to a mudslide triggered by Hurricane Camille (1969). This event initiated a joint industry-university-government project to investigate sediment instability on the Mississippi River delta front. Results of this project culminated in many cutting edge publications that changed our understanding of depositional processes on the offshore parts of fine-grained river-dominated deltas. 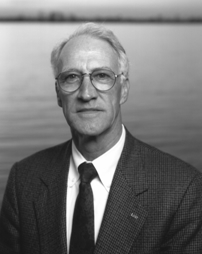 For his role in unraveling the sediment instability problems in the Mississippi River system Jim was elected to the National Academy of Engineering in 1990. After the delta front work was completed, Jim served as co-chief scientist with Dr. Arnold Bouma on the 1988 Deep Sea Drilling Project, Leg 96 in the Gulf of Mexico. This project focused on drilling of the latest lobe of the Mississippi Fan. Results from this project provided the first “ground truth” of the sedimentology and stratigraphy of the Gulf’s fan deposits below the thin blanketing hemipelagic sediments that cover the entire fan. Coarse facies found in the channels and distal fan lobes changed our model of fan deposition and supported the thrust by petroleum companies to explore for oil and gas in deep water fan deposits. In addition to research, Jim became involved in administrative work early in his career. After being promoted to full professor in 1975 he was named director of Coastal Studies Institute, a position he held for 10 years. Later during the period 1985-1989 he served as chair of the Department of Geology and Geophysics and Head of the School of Geoscience. After serving as chair he briefly served as Acting Dean of Basic Sciences and in 1989 became Executive Vice Chancellor, a position he held until 1997. In 1998 he retired and returned to Coastal Studies Institute as a Boyd Professor, LSU’s highest academic rank. During his career Jim has received many awards for his work on deltas and other depositional systems. In 1980 he was presented the Shepard Medal for Excellence in Marine Geology by the SEPM.. In 1991 he received the Outstanding Educator Award from GCAGS and became an Honorary Member of GCSSEPM in 1992. In 2000 he was awarded the Russian Kapitsa Gold Medal of Honor for outstanding contributions to the field of Petroleum Sciences and was also elected to the Russian Academy of Natural Sciences. In 2001 he was named by President Bush to the U.S. Commission on Ocean Policy where he served as chair of the Research, Education, and Marine Operations Committee. In Louisiana he served on the Governor’s Advisory Commission on Coastal Restoration and Conservation to help chart a course for confronting Louisiana’s significant coastal landloss problems. Over his career as a researcher in Coastal Studies Institute and teacher in the Departments of Marine Sciences and Geology and Geophysics Jim provided positive leadership for many students. He also ran numerous short courses for industry to give professional geologists, geophysicists, and engineers the latest concepts and observations regarding deltaic geology. His impact on the field of sedimentary geology and on those who practice this part of the geosciences is undeniable. His many friends and colleagues join in congratulating Jim on receiving the prestigious Doris Melkin Curtis Medal.